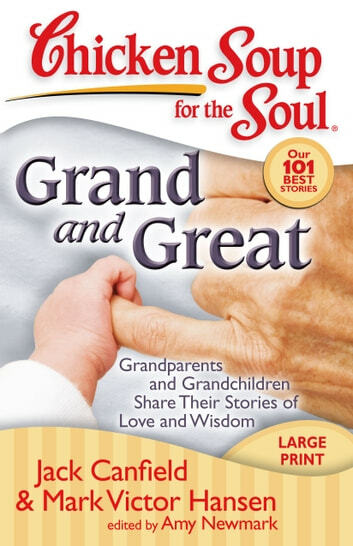 Grandparents and grandchildren will enjoy Chicken Soup for the Soul: Grand and Great with its 101 stories written by grandparents about their grandchildren and by grateful grandchildren about their grandparents. A parent becomes a new person the day the first grandchild is born. Formerly serious adults become grandparents who dote on their grandchildren and find new delight in life. 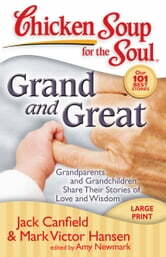 This new book includes the best stories on being a grandparent from Chicken Soup for the Soul’s library. Everyone can understand the special ties between grandparents and grandchildren -- the unlimited love, the mutual admiration and unqualified acceptance. Printed in a larger font.